Nova Scotia Community College encompasses 16 campuses and learning centers across Nova Scotia and focuses on student success, community impact, organizational excellence, and academic quality. 120 degree offerings ranging from Practical Nursing to Marine Engineering Technology are obtainable in both traditional classrooms and online. Full and part time, continuing education programs, as well as customized business training are offered to serve students at every stage of their careers. When Nova Scotia Community College was looking to create a new website they chose to partner with Beacon – based on our proven ability to successfully implement large scale, highly visible Higher Education projects that involve multiple partners. Beacon collaborated with a 3rd-party design firm that Nova Scotia had chosen to integrate their designs into Cascade CMS. Once the design was finalized Beacon developed seven custom Cascade templates and performed extensive testing to ensure that Nova Scotia’s fully responsive website was ready for launch. During the year-long project Beacon integrated the site with the client’s existing Cascade content management system, enhancing usability on the back end with features such as a highly functional (and flexible) data definitions and customized XML– which was important with so many campuses and learning centers to support. 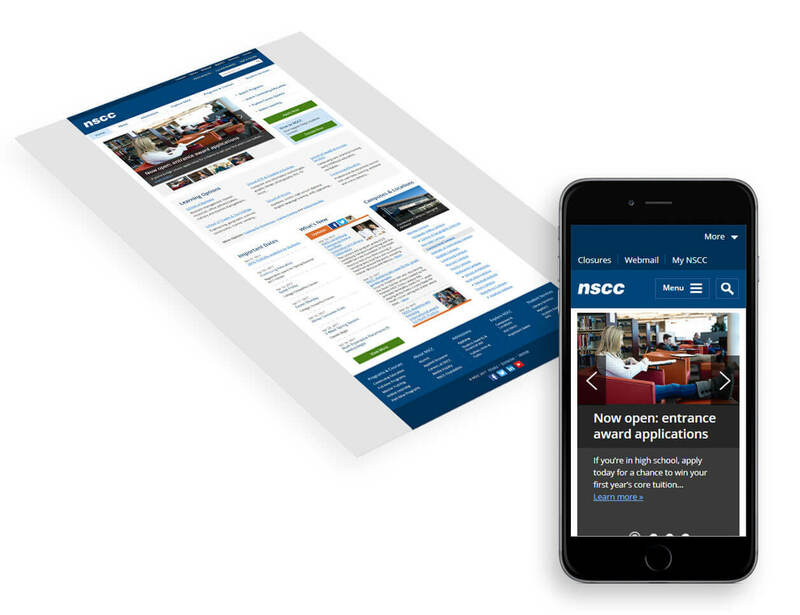 This allows NSCC to maintain structural consistency and brand integrity across the many campuses, organizations, and schools. Beacon is proud to call Nova Scotia Community College their largest international community college client.